Thompsons secured £12,500 for Mr Alan Brown following an accident in which he was involved during the course of his employment with Co-Operative Group Limited. Mr Robert Ewing has received £22,500 following an accident at work in January 2015. Margaret Fulton came to Thompsons after suffering a fall at work. She works for the NHS as an Auxiliary Nurse. Mrs Fulton suffered serious injuries to her shoulder and knee after falling against a sink whilst caring for patients. Her fall had been caused by another member of staff leaving a television set in front of the sink thus causing a trip hazard. Thompsons Solicitors were able to secure a highly successful outcome for our client who was badly injured in a fall caused by poorly maintained pavements. Our client who has asked not to be named was having a meal out in Glasgow’s Southside with friends. After her meal was finished she made her way home but tripped over a missing paving slab in the Battlefield area of the city. She fell badly injuring her hands and wrist. As a trade union member our client knew that she could call on Scotland most experienced team of personal injury lawyers at Thompsons. This service is included as part of her trade union membership. A Thompsons client who works for his local council has won a huge compensation award after he sustained life threatening injuries in an accident at work. He was driving a recycling vehicle which had lifting arms to mechanically lift bins and tip their contents into the body of the vehicle. The lifting arms were operated by use of handheld controls. This Thompsons client was seriously injured whilst working as a local authority refuse collector. In the course of his normal duties he was working behind a bin lorry loading rubbish. Whilst standing on the pavement waiting for the bin lorry to pass him he slipped onto the ground and his leg went onto the road. John Corbett is an experienced engineer working at the Rio Tinto Alcan plant in Fort William. One of his main duties is working with molten aluminium metal where he's involved in pouring the metal into various moulds. A UNITE member employed as mechanic in a Glasgow garage has be paid a huge settlement following an accident at work. The member was a long standing employee at the city centre garage but has not been not been able to return to work since the incident..
A dockyard engineer has won £35,000 after being injured in an accident involving a powerful drill. The incident took place back in 2010 and was not pursued at the time as the member was reluctant to make a fuss and because he thought he would make a full and quick recovery. Thompsons was involved in helping this lady after she was exposed to carbon monoxide gas. The problem started when a new boiler was installed in her home near Falkirk last year. The initial installation went well but after getting some work done to her exterior walls of her house things started to go wrong. James Campbell was involved in an accident while undertaking his routine duties in Loch Lomond Distillery in Alexandria. James was filling barrels with spirit when one began to overflow. When he bent down to investigate his face and eyes were sprayed with spirit. Angela Farrell suffered a serious accident at her work where she was employed as a housing officer with the council. As a member of the trade union UNISON Mrs Farrell was advised to contact Thompsons straight away. David Mackinnon is a firefighter based in Lothian. Earlier this year he was cycling to work but was involved in a road traffic accident. Alistair Rodger is a council worker from Paisley who was involved in a nasty road accident. Mr Rodger was crossing Canal Street in Paisley at a pedestrian crossing when a vehicle drove through the red light and ploughed into him. Thompsons No Win No Fee lawyers recently helped Vincent McCall secure £2,400 in compensation when a car collided into the rear of his vehicle causing extensive damage. This Thompsons client is a support worker employed by NHS Ayrshire and Arran. In the course of routine duties our client was unlucky enough to receive a needle stick injury to her left hand. It's the type of injury that's extremely distressing. Carol Forrester works in the princess Royal Maternity Hospital in Glasgow as an auxiliary. One of her duties is making sure the areas where patient's food and drinks are prepared are clean and well maintained. Whilst Carol was cleaning some food preparation machines she received an extremely nasty cut to her forearm. A Tesco employee has been compensated by almost £10,000 after an accident at work left him with a broken leg. USDAW member Martin Dalgleish sustained the injury while packing pallets onto a van at a Tesco store in Lockerbie in August 2012. Mr Judge works for a well known engineering firm and was injured in the course of his work from a dangerous chemical spill. He was carrying a container full of the hazardous chemical oxidite when it spilled out and caused injury to his right knee. Sharon McCallum works for Stirling Council as a cleaner in a Primary School. While doing her routine duties she slipped and fell while cleaning up in the kids toilets. Sharon slipped due to soap leaking out of one of the dispensers on the wall. Mr Rankin who was employed by Rolls Royce was severely injured after falling from height at the company's Inchinnan base. At the time of the accident in 2008 Mr Rankin had used a fence to steady himself while working from a ladder unaware that someone had placed an additional piece of unsecured fencing alongside the main fence. As a result Mr Rankin suffered a fall which left him with physical and psychological injuries. PARAMEDIC John Clements received a needle-stick injury when he attended a drug user who had taken an overdose. John, who was due to get married, was tested for hepatitis and HIV, and had to endure months of worry and trauma while he waited for the results. Specialist lawyers Thompsons helped two victims of a traffic accident win their compensation claims after advising them to reject "derisory" offers made by the insurers of the driver responsible. Mr Neil O'Neil who works as a hospital porter was seriously hurt in a Boxing Day accident in the grounds of Stobhil hospital in Glasgow. He was going about his routine duties when he slipped on ice and sustained significant injuries. Despite the area in question being used by many pedestrians it appeared that it had not been gritted. Thompsons compensation claim Solicitors have helped trainee stockbroker Mark M secure £75,000 compensation for serious injuries he suffered in a car accident. Mark was seriously injured in the car accident and sustained extensive injuries to his arms. At 64, Alan Valente, from Musselburgh, was close to enjoying a relaxing retirement from the building industry he worked in all of his life. Any hopes of a pain free retirement were however suddenly dashed after a discarded brick on the scaffolding where he was working caused him to dislocate and fracture his ankle. Thompsons Solicitors recently obtained £2000 in compensation for a child who was on holiday in Ayrshire. The 8 year old was visiting the Heads of Ayr Farm Park in August 2008 when the enjoyment of his holiday was cut short when he was injured whilst playing in the children's play area. Mrs Esson was a member of the trade union UNISON and through them she asked Thompsons to fight her case. Initially liability was denied by the council's insurers and there was no response from the council's solicitors. But after Thompsons stepped in and arranged a meeting a settlement was reached with full court expenses included. A routine shift at a glass bottle manufacturing plant ended in a horrific ordeal for ex-soldier Liam McLaughlin, a veteran of the first Gulf war. Molten glass at a temperature of around 500 degrees centigrade spilled from the production line, and as he tried to clear the jam his "fireproof" overalls provided by his employer burst into flames. 21/11/2013 Landmark legal victory for Thompsons Client removes black hole around asbestos claims. Mr Smith, was playing for Rutherglen Glencairn juniors when he was badly injured by a Cambuslang Rangers player. The Cambuslang Rangers player performed what has been described as a horror tackle, which resulted in Mr Smith sustaining fractures to both his tibula and fibula. David Harper is an experienced firefighter based at Port Glasgow Fire Station. He was on routine duty, travelling in a fire brigade rescue jeep when it was involved in a crash with another vehicle. The fire service jeep was rammed from behind and Mr Harper, who was in the passenger's seat..
Mrs C was involved in a car accident in December 2007 when she was stationary at a junction and a Local Authority's trailer collided into her vehicle causing damage. Thompsons Solicitors recently obtained diminution compensation for a car that was parked outside the client's home. The car was damaged when another driver reversed into the front of the car causing damage. Three generations of the one family were involved in a very serious car accident as a result of a head on collision. The Grandmother was driving. The Mother, was in the front passenger seat wearing a seatbelt and the daughter aged only 8 at the time was in the rear seat wearing a seatbelt. 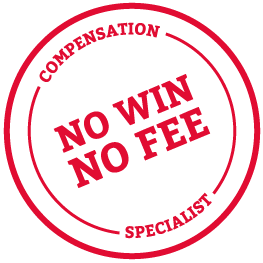 Thompsons No Win No Fee Lawyers helped Kerry Dickson obtain £4,000 in compensation when her car was stationary in a garage forecourt when suddenly and without warning another driver failed to stop in time and crashed into the rear of her car causing damage. Thompsons Solicitors have helped to win compensation for a patient who attended a dental hygienist who was treated with un-sterilised equipment. The hygienist had recently ordered a new piece of scaling equipment which was not connected to the main equipment, as the dental nurse was unfamiliar with the equipment and untrained she failed to change the scaling tip after the first patient of the morning. Nursery Nurse Linda Smith was the pillion passenger on the motorbike being driven by her partner. They were riding along country roads in central Scotland when a car pulled out from a junction directly into their path in such circumstances that there was no prospect of the motorbike stopping or avoiding the car. 12/10/2011 When I Started Working On The QE2 Asbestos Was One Of The Main Materials We Worked With. To the world the ocean-going liner the QE2 is a symbol of the heyday of shipbuilding on Clyde. To John Ferguson, one of the legions of men who worked on her construction, she is a grim reminder of how he acquired the pleural plaques infecting his lungs. When Ian Drew started as a maintenance fitter at Dalmarnock Power Station in Glasgow in 1961, asbestos wasn't just the material that insulated pipes, tubes and the boilers themselves. The asbestos was literally everywhere including forming a deadly carpet of dust anything up to six inches deep on the power station floors. 12/10/2011 I Get Very Angry when Insurance Companies Try to Argue that Pleural Plaques is Harmless. Elaine Darling knows from bitter personal experience just how quickly and easily pleural plaques can develop into fatal cancers. Her father George O'Donnell, 80, a builder to trade was diagnosed with pleural plaques just three years ago. He died in August this year from mesothelioma the deadly form of asbestos related cancer. Accident injury lawyers Thompsons has secured compensation for a woman involved in a head on collision with a cow. Jane Boylan was travelling along the A72 Biggar to Peebles road late at night when her vehicle suddenly and without warning struck a cow in the middle of the road. The findings of a Fatal Accident Inquiry into the death of Scottish champion cyclist Jason Macintyre have been published. Jason was killed in January 2008 when he collided with a council van that turned into his path on the A82 near Fort William. Thompsons Scotland were instrumental in assisting Jason's widow Caroline to campaign for the Inquiry to be held - it took an agonising two years for the Crown Office to agree, with Caroline having to prove that Jason was killed whilst effectively engaged in his occupation. Thompsons No Win No Fee Lawyers have yet another delighted client after securing £4,500 in compensation for Chris Henry. Mr Henry was the innocent victim of a road traffic accident in December 2008. As he was driving on a roundabout his car was struck by another vehicle. Thompsons No Win No Fee Solicitors have helped a client win almost £6,000 in compensation after he was thrown from his bicycle while riding through Holyrood Park. Solicitor Stewart White said: "Historic Scotland was the body responsible for constructing and leaving an open gully adjacent to the cycle path which caused the accident." Mr Pitch was employed by a company which made and fabricated computer Workstations for industry. Mr Pitch sustained an injury to his back. An 82-year-old who saw her son die from an asbestos cancer has been awarded £10,000 in compensation in a case brought by Thompsons Personal Injury Solicitors. Widow Annie Little was with her former Clyde shipyard worker son Ian Cruickshank, 52, when he died in hospital..
A HGV driver employed by the London Borough of Harrow has been awarded compensation following an accident which resulted left him with part of his finger amputated. Neil Beard, 49, brought the claim with the assistance of his union, UNISON, and the legal expertise of Thompsons Personal Injury Solicitors. TEACHER Carol Summers was one year into her first job when she was involved in a horrific three-car crash in which one driver died. The 25-year-old was seriously injured in the car accident, which was not her fault, and had to sign off work for almost nine months. Donna was on a school coach trip with Largs Academy to France. In France the coach was involved in a serious road traffic accident which resulted in the coach landing on its side and all of the pupils receiving injuries to different degrees. A Scots fitter has won £25,000 compensation after a Court of Session Judge held that his lung disease was caused by exposure to asbestos while working in the shipyards. Lord Carloway ruled that Bill Hynes' breathless is due to asbestosis, and not a rheumatoid condition as his former employers argued, and that he now runs a significant risk of developing fatal conditions like mesothelioma or lung cancer. Ms Cadbury was a back seat passenger in her son's motor vehicle when it was involved in a road traffic accident. The car accident occurred on an icy morning and Ms Cadbury's son admitted that he was travelling too fast for the conditions.